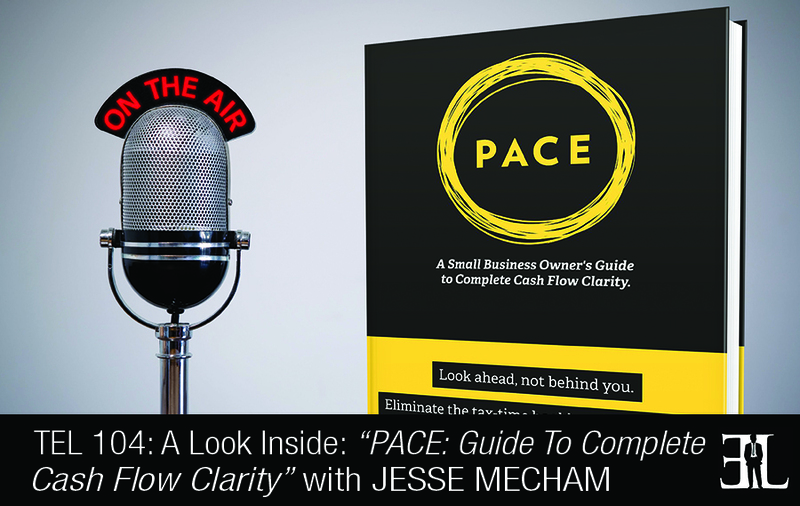 In this episode Jesse Mecham shares his book, PACE, where he shares a unique and simple method to balance your cash flow and keep more of you money. In his book, Jesse shows you the way to watch your checking account balance grow, confidently make a new hire, and give yourself a consistently growing paycheck. The goal of the book is to teach you how to squeeze the maximum value out of every dollar that flows through your business and pinpoint where your current finance system is broken. This book is for entrepreneurs who have a hard time understanding accounting and need a simple yet effective monetary system for managing the cash flow of their business. This book is has nothing to do with what you would call traditional book keeping. This book is a method for business owners that allow them to think about their cash flow in a new way and make decisions based on this framework of cash flow that helps their business grow. I purposely made the book very short so you could read the book straight through sitting on an airplane. I want the reader to recognize that they could see their books and their finances as a strategic value added piece of information and not a necessary evil for compliance. The first part of the book is my story and how I stumbled into being a small business owner. My business was doing quite well but I was still frozen with fear and I recognized that just because revenues were growing that didn’t mean that I was feeling any more comfortable. The next little bit I kind of talk through the current state of the art as it relates to bookkeeping and recognize that most business owners have variable incomes or their income is very seasonal and their expenses are not spread evenly throughout the year. I try to get business owners to go from looking backward and complying to looking forward and starting to plan and prioritize. The title of the book PACE is an acronym made up of four rules. The first rule of PACE is to prioritize what you have. I want business owners to really drill down and think about the money they have on hand and decide exactly what that money needs to do before more money comes into the business. The second rule eludes a lot of business owners and that’s to anticipate less frequent expenses. The biggest one that small business owners deal with is cash flow, specifically as it relates to taxes. This is one example where I want business owners to look ahead and break apart larger less frequent expenses in to more manageable monthly amounts. The third rule of PACE is that you change. You take whatever information you have that is relevant at the time and then if you get new information you change your plan. The last rule is that we want the business owner to establish what we call a buffer, a little bit of a reserve so that they aren’t constantly stressed and right on the edge of financial disaster. For the most part the business owner needs to have one to two months of revenue. This is hard to believe for some but it is totally doable as you start to prioritize your expenses following that first rule and you will start to see how you can build that reserve over time. I am an entrepreneur; I founded a company called YouNeedABudget.com. I have five kids; I live in the beautiful state of Utah and living the dream. I am in the realm where I teach individuals and families how to manage their money and we do a pretty good job of it. We have taught hundreds of thousands of people how to turn their finances around. As a small business owner I realized that my finances were stressing me out and about seven years in to being a small business owner I realized that I could apply the same methods that I have been teaching families. I since applied those same methods to my business and it’s proven over the last several years to be one of the best things I’ve done for my business. I decided I wanted to get the word out and alleviate some of that stress to other business owners. Just looking for a way to get a message to Jesse. I wanted him to know I just heard him on the Entrepreneurs Library podcast. I stopped my car, got on my phone, went to Amazon and bought a copy of his PACE book. Wanted him to know that putting himself out on podcasts works! Thanks! Oh. Love the podcast too!